Gina Kingsbury twice won Olympic hockey gold for Canada. She's now in charge of getting the country back atop the women's hockey podium. Kingsbury has taken over management of the women's national team program at Hockey Canada from Melody Davidson, who stepped out of the general manager's job after eight years to focus on scouting. Kingsbury, 36, retired from the national team in 2010. After coaching at the Okanagan Hockey School, she apprenticed under Davidson in Calgary for three years managing Canada's under-22 and under-18 teams and working in skills development. "I certainly didn't see this type of transition this quickly," Kingsbury told The Canadian Press. "Ultimately, I was just trying to take as many notes as possible from Mel and really learn the ins of our program from the other side of the fence." Davidson coached Kingsbury and the Canadian team to Olympic gold in 2006 and 2010 before becoming GM of the national team. Hiring world championship and Olympic team coaches, inviting players to camps and selecting them to teams, organizing and strategizing an Olympic preparation period are just a few of the responsibilities that now ultimately fall to Kingsbury. But with Davidson staying on as a scout, it takes that job off Kingsbury's plate. "The purpose and the vision and just the standards she has set, I really want to continue along that path," Kingsbury said. "I believe in what she has built." Born in Uranium City, Sask., but raised in Rouyn-Noranda, Que., Kingsbury had 29 goals and 45 assists in 116 career games for Canada between 2001 and 2010. As GM, Davidson was the chief architect of Canada's thrilling overtime win to capture gold at the 2014 Olympic Games in Sochi, Russia and February's agonizing shootout loss for silver in Pyeongchang, South Korea. But the 55-year-old from Oyen, Alta., had told Hockey Canada president Scott Smith and chief executive officer Tom Renney last November that she was ready to step out of the role of GM and consider the next phases of her life and career. "There's a lot of reasons. Definitely personal. What is it I want to do for the next 10 or 15 years of my life?" Davidson said. "The sad thing is you can't just go to another organization. There's not one. In the women's game, it's not like the men's game. "I still really like to scout. That was a role that I kept within the GM's role because I liked doing it. I asked Hockey Canada if they would consider keeping me in that role. "We brought Gina in with the intent of eventually taking things over. This might have happened a little faster than she thought it would." Women's hockey has evolved to the point where former players are not just stepping into coaching but into management. 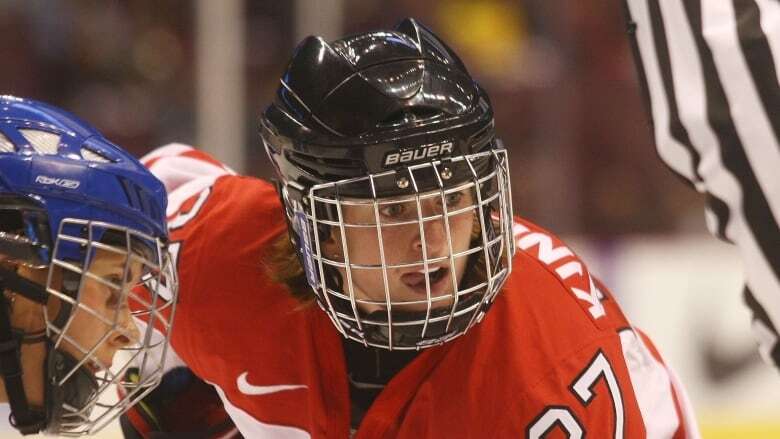 Kingsbury's Canadian teammate Jayna Hefford was recently named interim commissioner of the Canadian Women's Hockey League. National team goaltender Sami Jo Small was named GM of the CWHL's Toronto Furies earlier this year. "There's obviously a huge attachment to the game, a huge responsibility that I think we probably all share," Kingsbury said. "It's the game we've loved and played our whole life, the game that's given us so much that we kind of owe it to the game." The United States has beaten Canada in the final of seven of the last eight women's world championships, and in the most recent Olympic final. Kingsbury isn't so far removed from her playing days that she doesn't feel that sting. "Extremely competitive. It never leaves me. It never does," she said. "It's important to be leaders of our game worldwide and one of the biggest ways is winning gold medals. "There's a lot more to it than just that. There's a responsibility to grow the game and inspire the next generation and ensure that we're healthy for years to come. "Certainly winning gold medals is the first step and the rest falls into place when you're able to do that for sure."